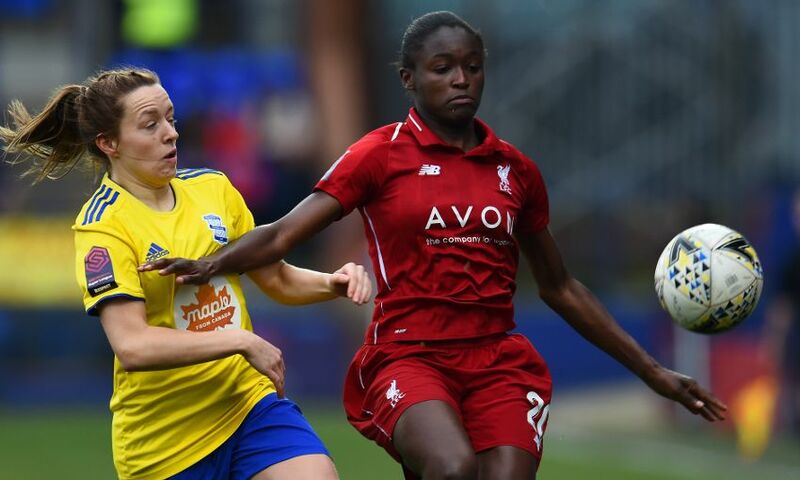 Liverpool FC Women were beaten 2-0 by Birmingham City Women at Prenton Park on Sunday. After a narrow defeat at Bristol City Women last weekend, Vicky Jepson’s side were aiming to bounce back immediately with a positive result in the Women’s Super League. Their cause suffered a setback within three minutes of kick-off, however, as Emma Follis put the visitors ahead with a cool finish beyond Anke Preuss. The Reds reacted well and mounted pressure in the search for an equaliser for much of the remainder of the first half, only for Birmingham to produce the next goal on 40 minutes. This time it was Connie Scofield breaking into the Liverpool area to find the net with a curler that doubled the advantage for the away team. Courtney Sweetman-Kirk, who was on target last time out, went close to halving the deficit when she sent a header wide from Leighanne Robe’s cross on the hour mark. Late substitute Yana Daniels had an effort blocked on the line with two minutes left to play and Birmingham preserved their advantage to take all three points. Liverpool FC Women: Preuss, S. Murray, Bradley-Auckland, Matthews, Robe, Fahey, Coombs, C. Murray (Roberts, 53), Babajide (Daniels, 80), Clarke, Sweetman-Kirk (Linnett, 73). Unused substitutes: Kitching, Little, Rodgers.